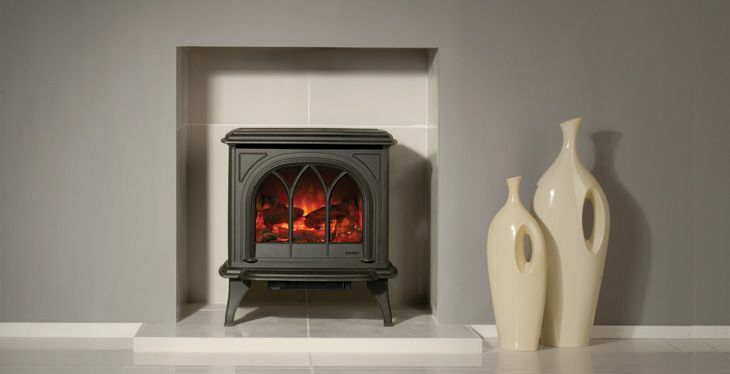 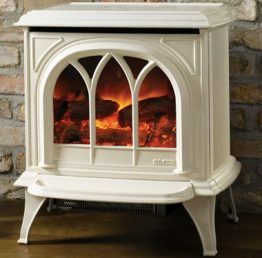 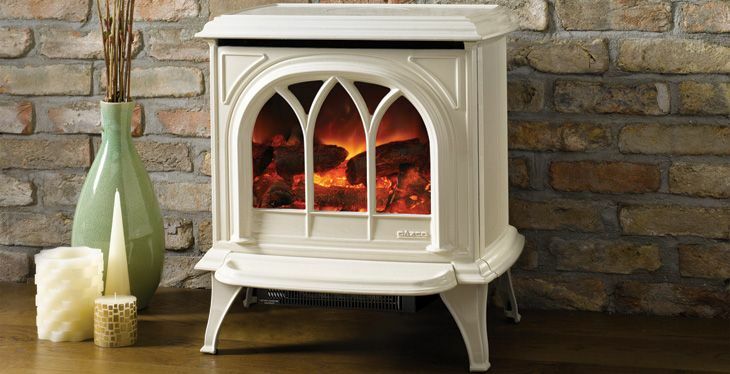 The fine castings and beautiful tracery door of the Huntingdon 30 Electric stove are brought alive with Gazco's VeriFlame™ technology which provides you with two heat settings that can both be thermostatically controlled; three flame brightness levels, plus the additional option for a blue flame effect on the high setting. 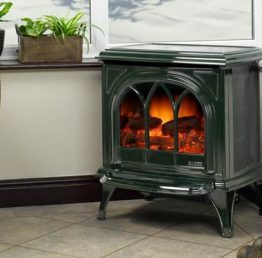 Your choice of colour is then set against the highly realistic fuel bed and individually hand painted 'logs', mirroring the look of a real woodburning stove. 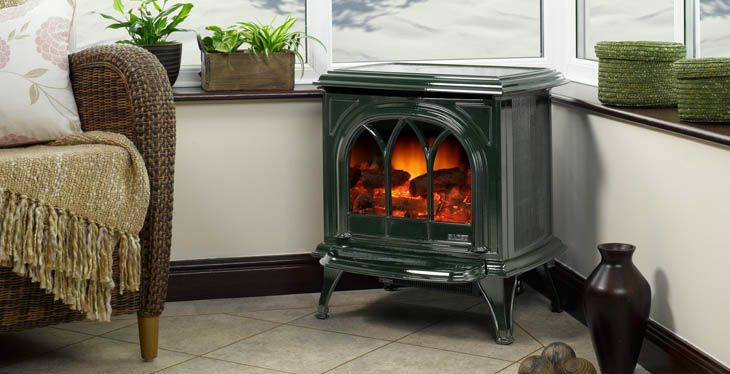 Operation of the Electric Huntingdon 30 stove is simple. 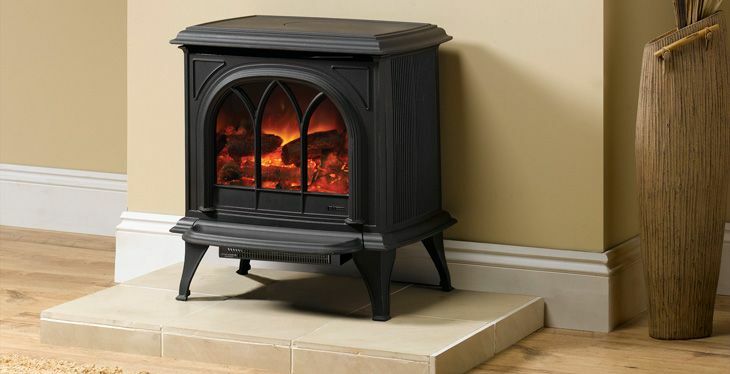 The remote control allows selection of the flame or glow and fire/heat combinations. 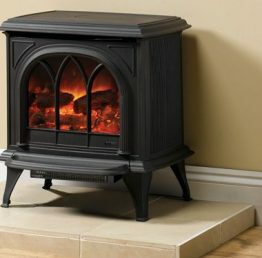 These can be fire effect only; fire effect + 1kW heat; and fire effect + 2kW heat according to the amount of warmth required. 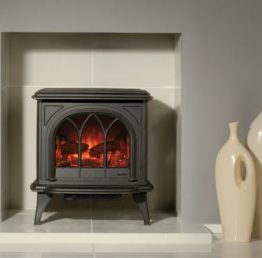 Available in a choice of three colours: Matt Black, Matt Ivory and Enamel Ivory.